Billions of selfies are taken every day without realizing the distortive effects of the camera's close proximity, according to a Rutgers University professor. Ever wonder why that nose looks big when you turn your smartphone camera on yourself? Researchers at Rutgers and Stanford universities say you're not imagining the effect and have developed a mathematical model to explain how smartphones act as "portable funhouse mirrors." Billions of selfies are taken every day without people realizing the distorting effects of the camera's close proximity. It possibly leads many to develop a skewed self-image of themselves. Boris Paskhover, an assistant professor at Rutgers New Jersey Medical School's Department of Otolaryngology who specializes in facial plastic and reconstructive surgery, is often shown selfies by patients requesting surgery to explain why they want to make their noses smaller. Portrait A, at left, is taken at 12 inches; portrait B, at right, is taken at 60 inches. A mathematical model shows that the average selfie, taken about 12 inches from the face, makes the nasal base appear about 30 percent wider and the nasal tip 7 percent wider than if the photograph had been taken at 5 feet, a standard portrait distance. "Young adults are constantly taking selfies to post to social media and think those images are representative of how they really look, which can have an impact on their emotional state," Paskhover said in a news release. "I want them to realize that when they take a selfie they are in essence looking into a portable funhouse mirror." 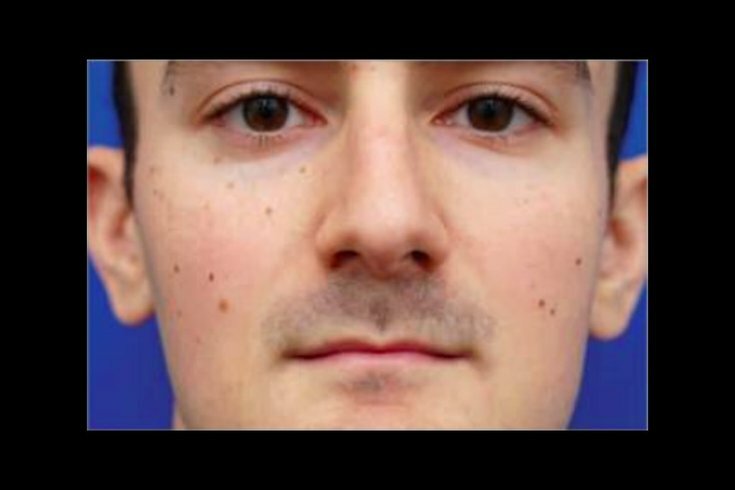 In an attempt to find a better way to explain to patients why selfies are not a good way to assess their nose size, Paskhover worked with Ohad Fried, a research fellow at Stanford University's Department of Computer Science, to develop a mathematical model that shows nasal distortion created by photos taken at close range. The Rutgers-Stanford model, published in JAMA Facial Plastic Surgery, shows that an average selfie, taken about 12 inches from the face, makes the nasal base appear about 30 percent wider and the nasal tip 7 percent wider than if the photograph had been taken at 5 feet, a standard portrait distance that provides a more proportional representation of facial features. The mathematical model is based on the average head and facial feature measurements obtained from a selection of racially and ethnically diverse participants. The model determined the magnitude of the distortive effect by presenting the face as a collection of parallel planes perpendicular to the main camera axis. It calculated the changes to the ratio between the nose's breadth and the width between the two cheekbones at various camera distances. The extent of selfies driving people's self-image is a public health issue, Paskhover said. According to the American Academy of Facial Plastic and Reconstructive Surgeons, 55 percent of surgeons say prospective patients are seeking cosmetic procedures to improve their selfies.